According to our motto: „Left, right – Prague’s on sight“, our carefully chosen, fully competent and friendly guides are here to make you familiar with Prague´s long ago history as well as with present events. 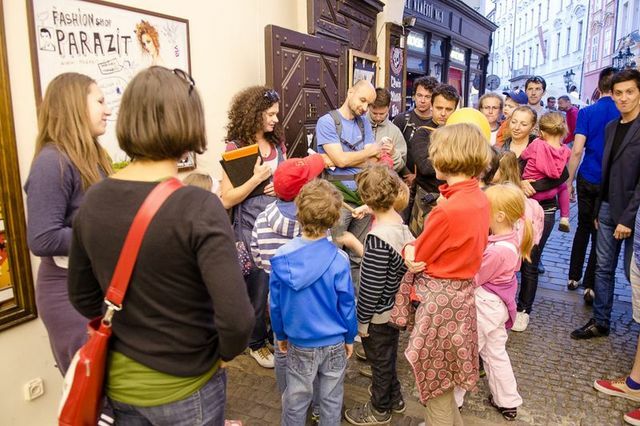 In a pleasant and easy language, by telling you folk tales, old-time stories and legends connected with different places, you will discover Prague in different way together with our guides – in an entertaining and playful way. We are not one of the numerous ordinary Prague incoming agencies. We are a small family company and we are here especially for those of you who are seeking much more than classically conceived Prague tourist routes and walks; we are here for those who welcome the added value through our personalized, customer-oriented and friendly attitude that you receive from your guide. We truly believe that above all, the attentive treatment and consideration for your wishes will make our walks extraordinary and make you feel comfortable. In addition to the typically frequented and highly popular tourist routes, we offer a colourful spectrum of more than 40 circuits plus special and unconventional walks designed for all age groups of visitors – from the youngest little rascals to activity-focused seniors. 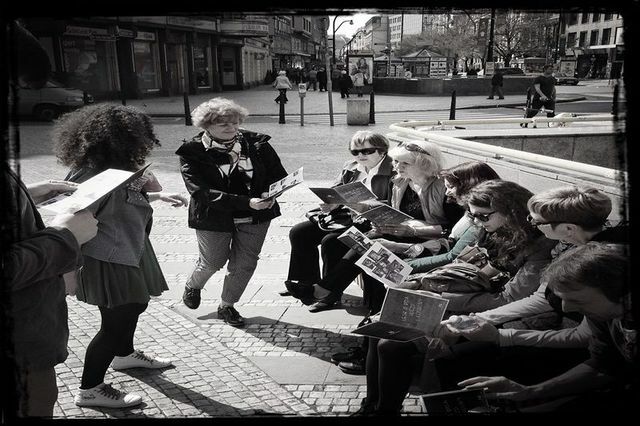 When you join us to wander around the city, we will take you to the most mysterious nooks and crooky lanes, and together we shall visit locations yielding the magic casted over interesting topics, aged legends and phenomena, and connected with famous personalities of the Czech history. We devote our special attention to fine arts – the sphere we specialize in. Our highly demanding clients will certainly appreciate our special „all-inclusive service“ covering complex care for your programme during the whole day or during your entire stay in Prague. Tours of Prague – Stověžaté příběhy 50.109076, 14.622948 Tours of Prague – Stověžaté příběhy Are you coming to Prague and would you like to come back home full of unforgettable experiences and memories? Then let us be your personal guide who will show you all of the Prague´s beauty in an unconventional way and who will take it as a pleasure, not just as a usual tourist business.